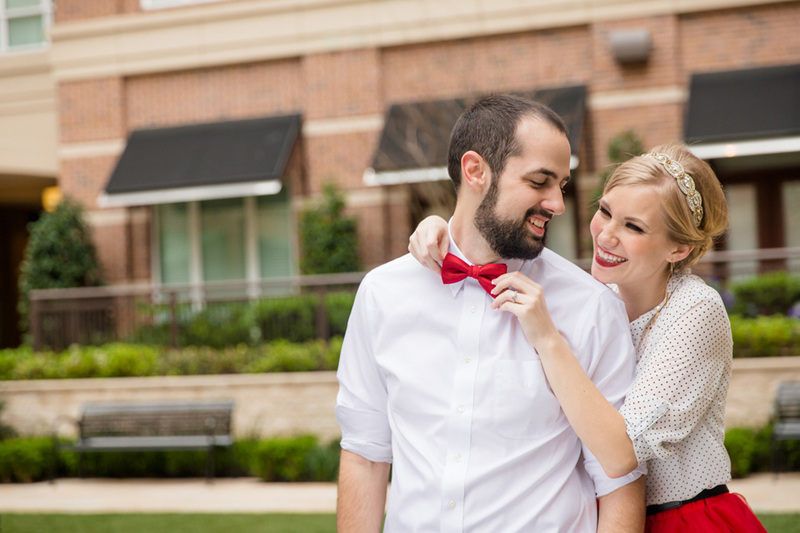 I don’t think I can ever stress this quite enough, the difference maker when it comes to engagement shoots, is styling. 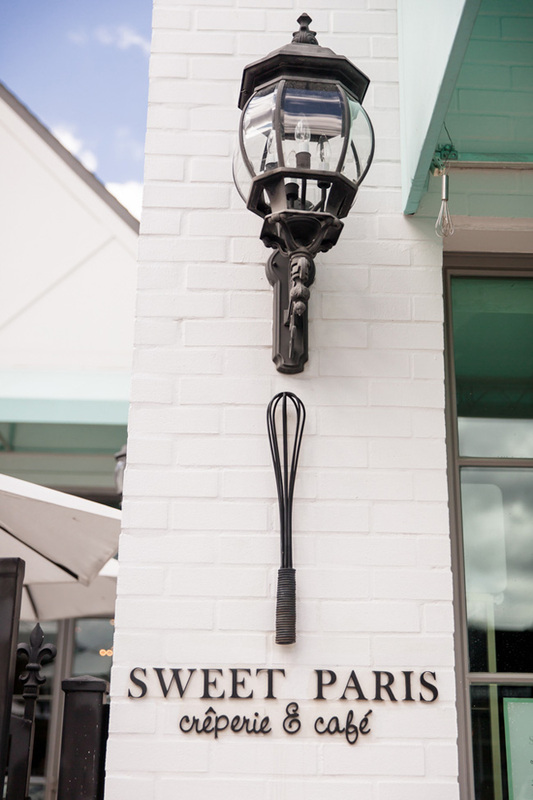 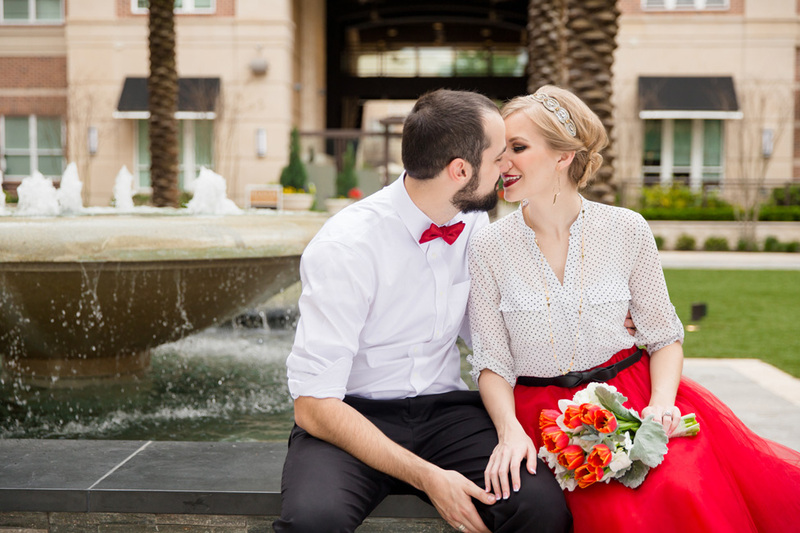 You know I love a good themed engagement session, however, I think I might crush that much harder on a well styled locale savvy smitten kitten engagement session! 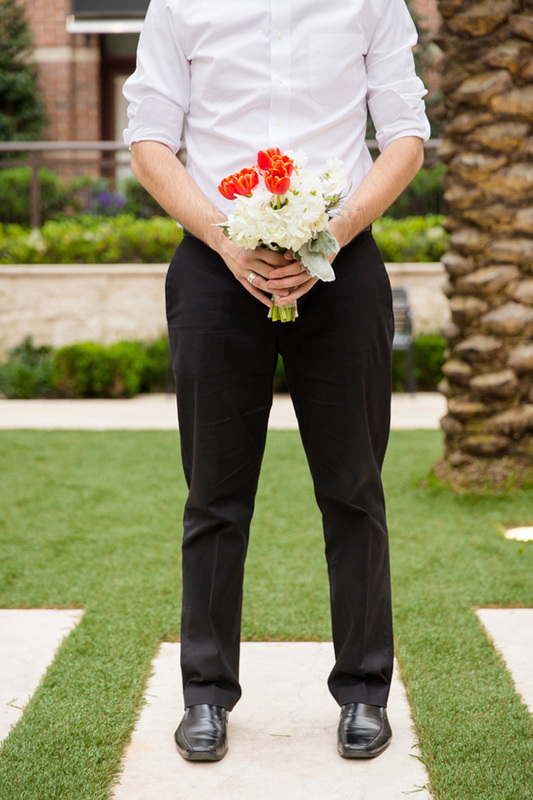 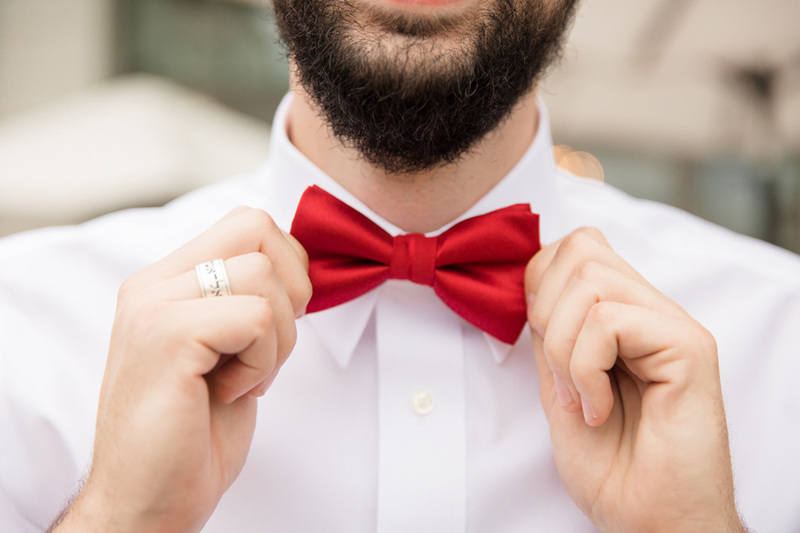 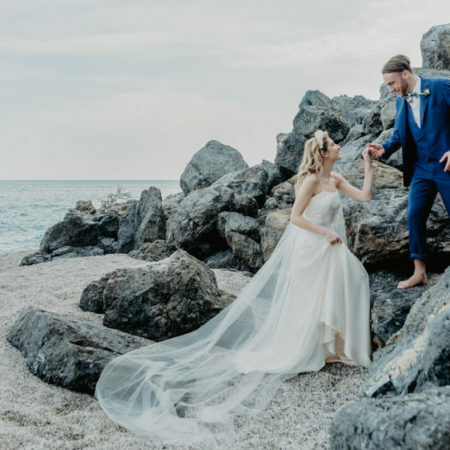 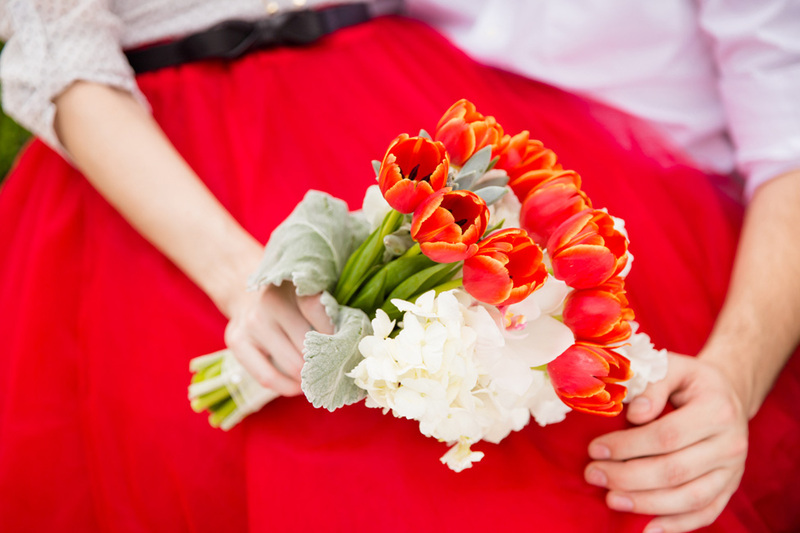 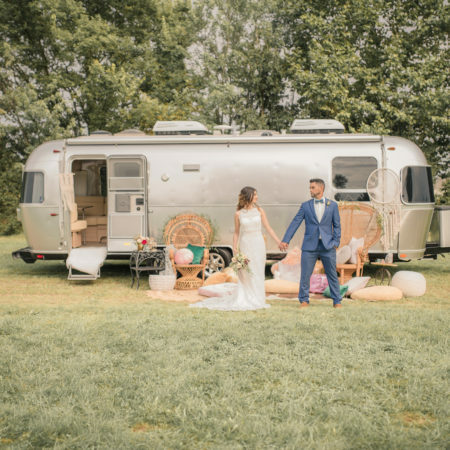 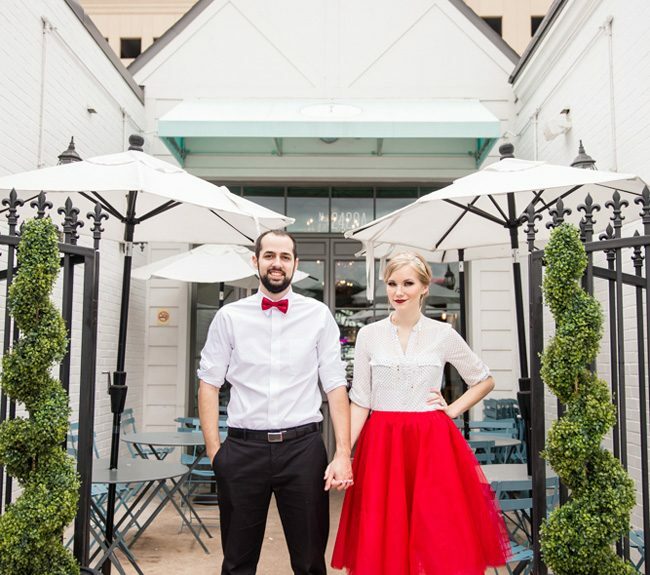 Texas wedding photographer Stacy Anderson Photography had the perfect couple in Caitlin & Colton along with a simple crisp idea of a pop of bold color & a modern high end locale. 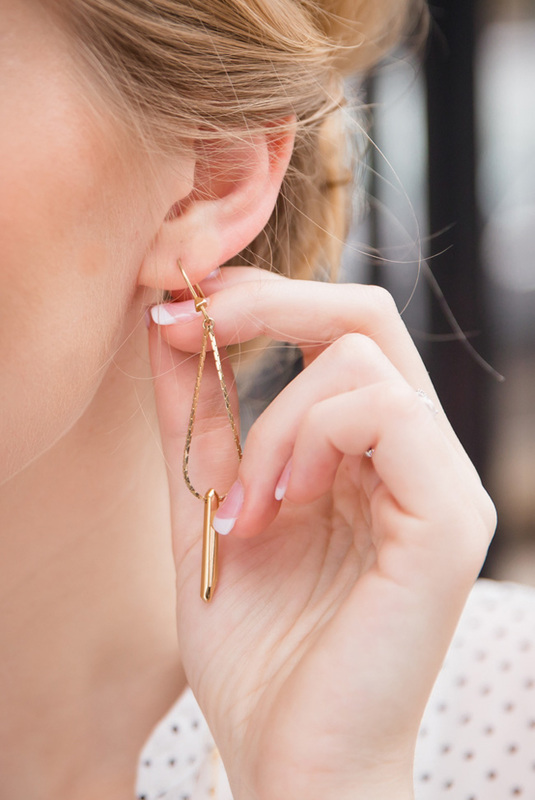 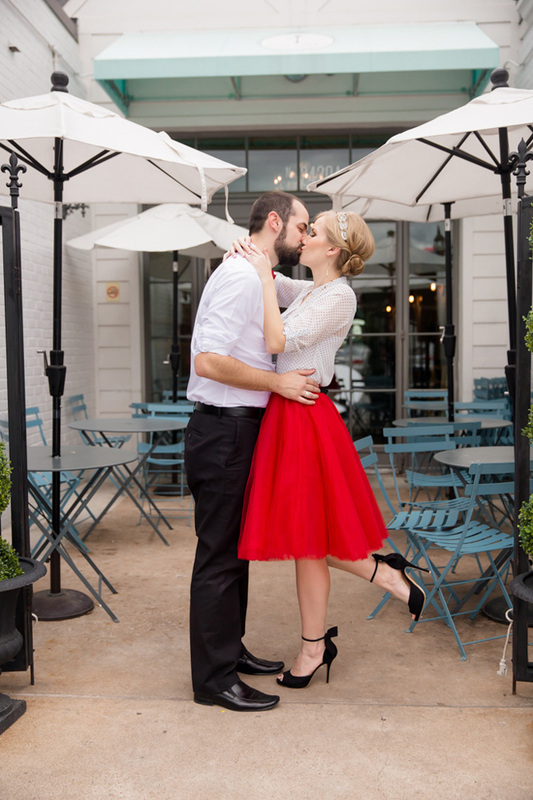 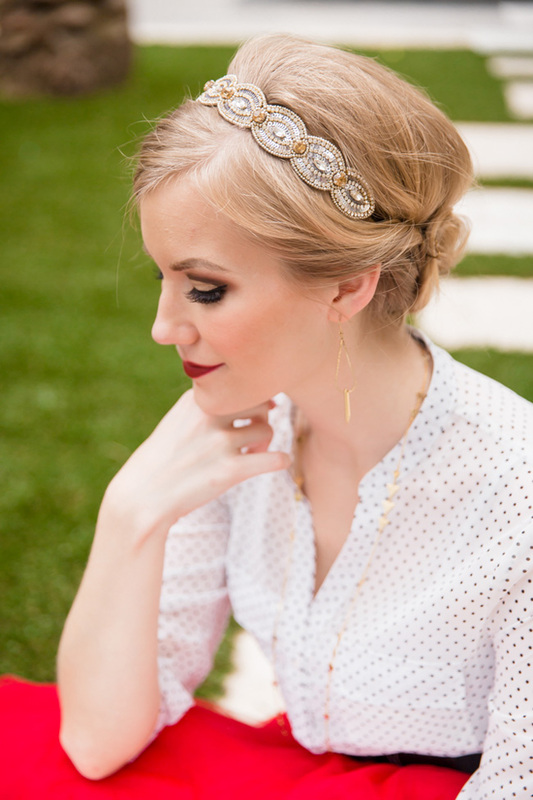 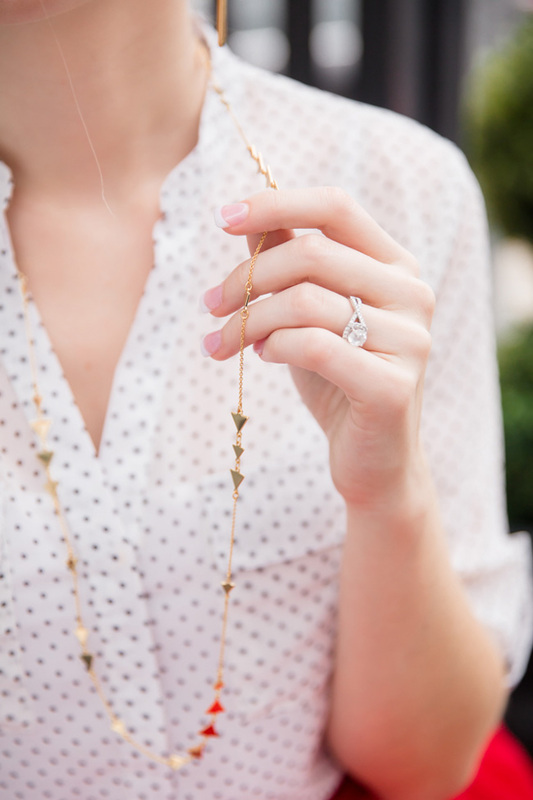 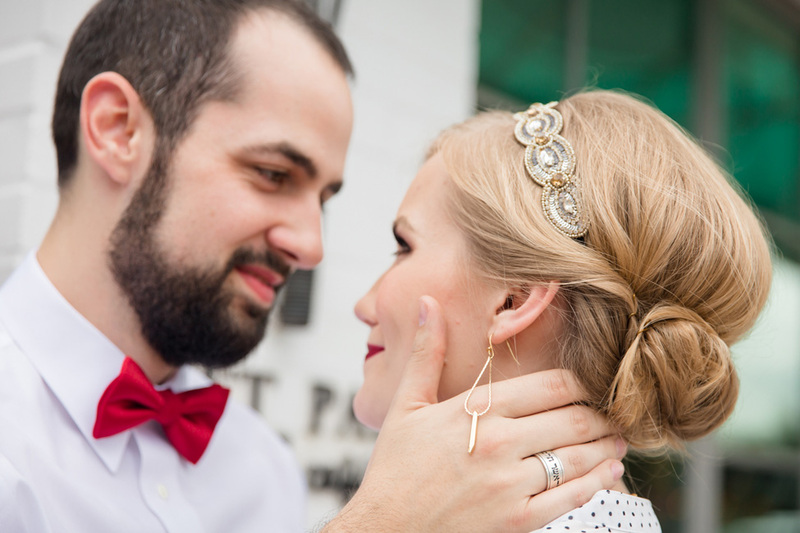 This sweet Texas engagement session has an obvious chic side while playing with an ever so slight retro air. 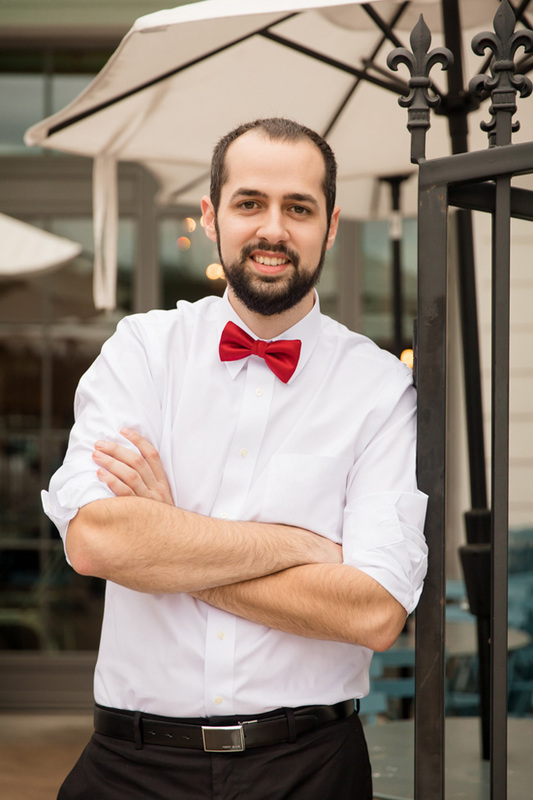 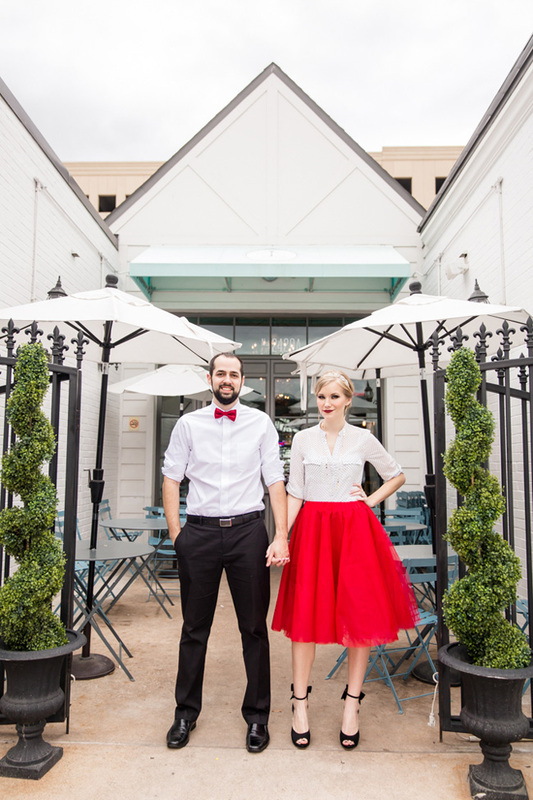 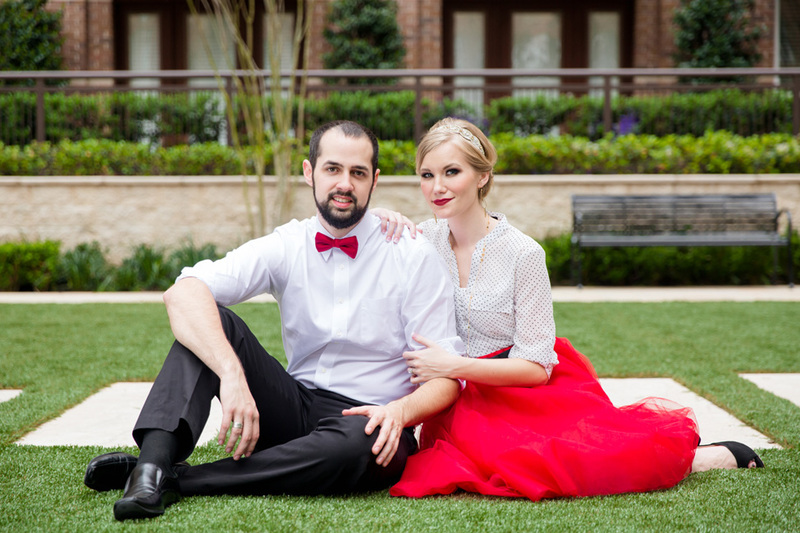 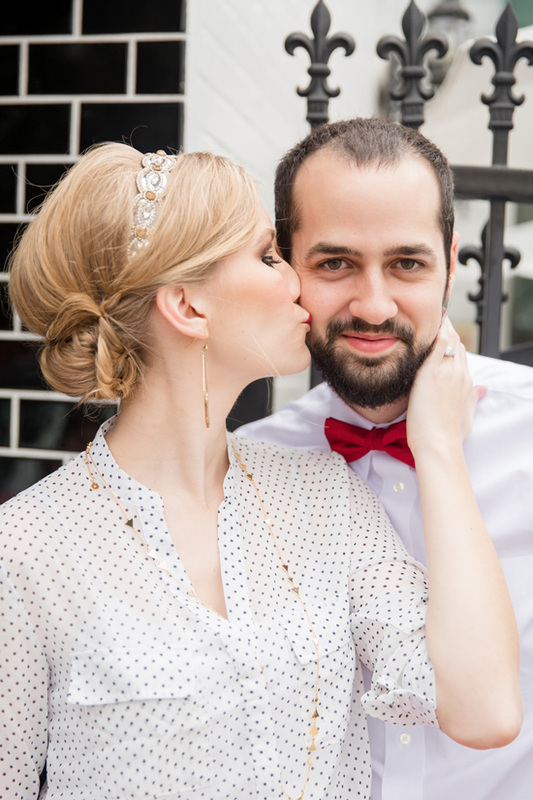 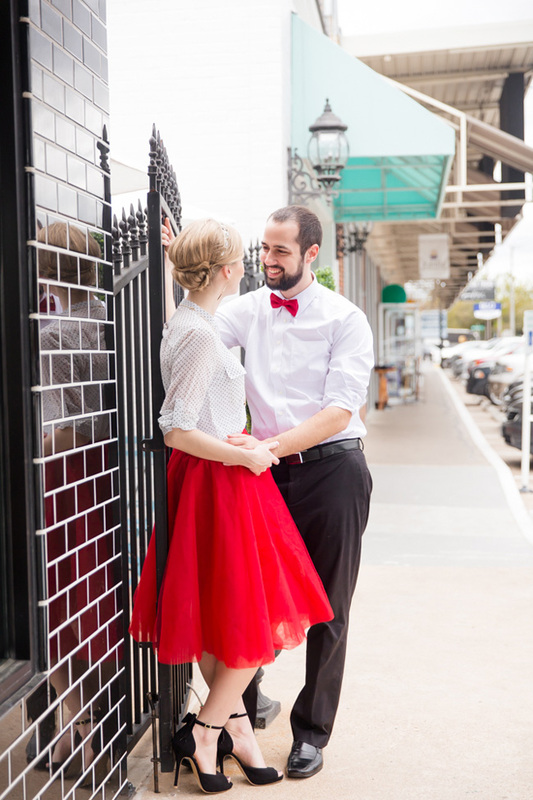 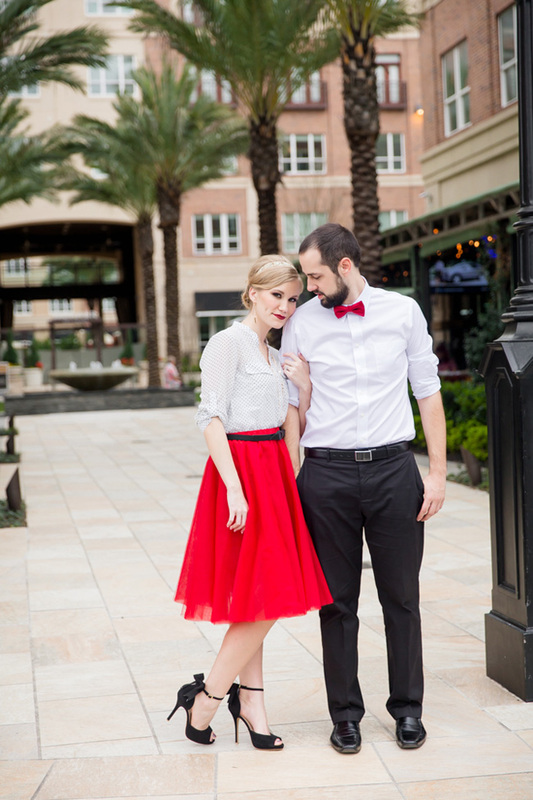 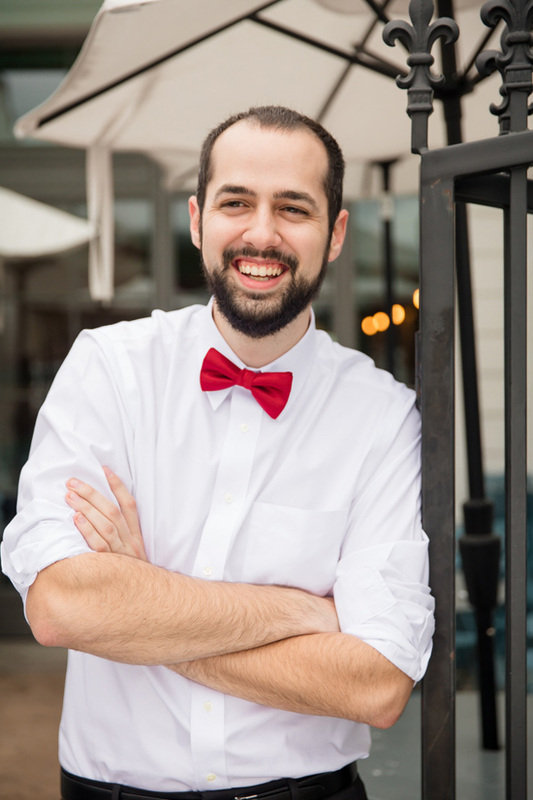 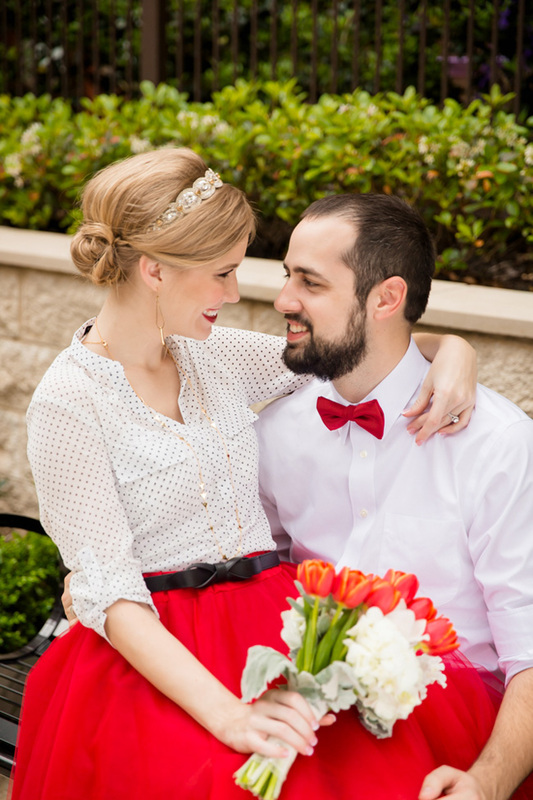 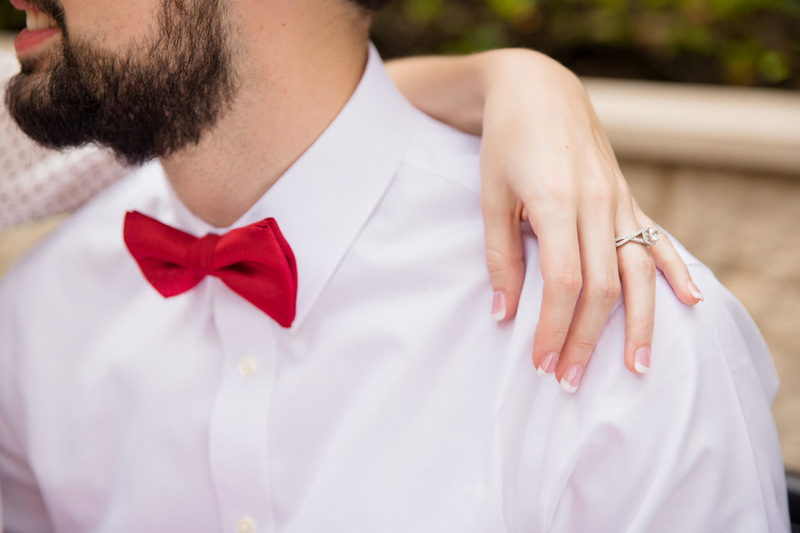 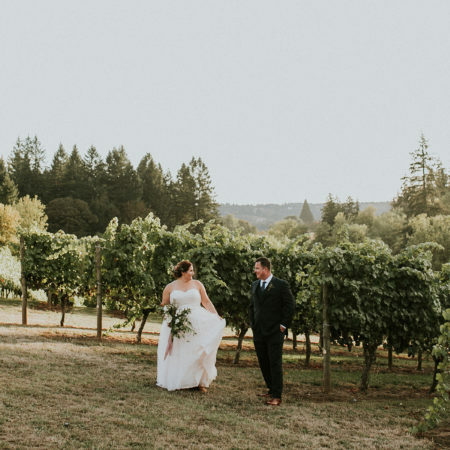 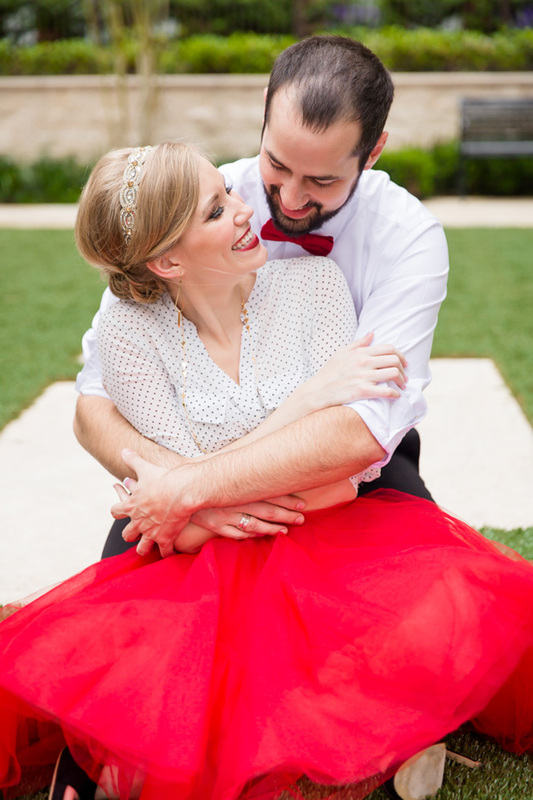 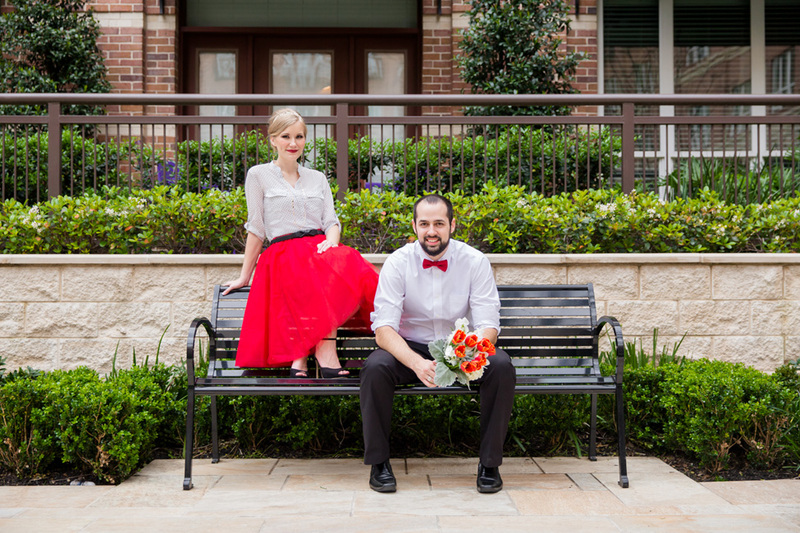 Wardrobe details like Colton’s red satin bow tie & Caitlin’s fiery red tulle skirt inject energy while its pieces like the petite polka dot shirt & back bow heels that emit sophisticated styling. 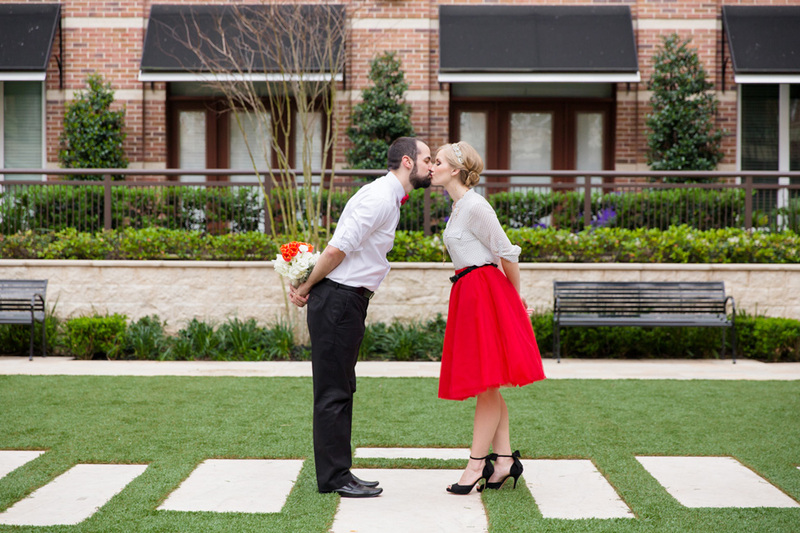 All that is left is the easy part, to simply be as a couple, laugh, smile, smooch and play!